Economists are people who help shape the course of our lives by implementing essential policies that have a direct implication on the economy. As they say “A healthy economy paves the way for healthy and happy individuals”. It is because of their intelligent policies and plans, we-the people can think of marching ahead successfully. We all are aware that if a nation’s economy is strong and functions properly, then it has no need to worry for problems such as inflation, poverty and unemployment. An economist need not necessarily have a degree in economy. He or she can also have a different educational background such as engineering, mathematics, philosophy or even history. There are numerous famous economists who have earned their respective degrees in other sciences. The works of these great people have earned them the Nobel Prize as well. Some noteworthy names in this field are Elinor Ostrom and Amartya Sen. Here, we have drawn up an awesome list of economists that have contributed tremendously. Though, there are many more names that should have been mentioned, today, we are covering the 15 most prominent personalities of all time. Do read and enjoy! A revolutionary soldier of communism, Karl Marx is best known for his book “The Communist Manifesto”. He is regarded as one of the greatest economists this world has ever produced. According to Marx, any economy that is capitalistic would eventually be affected with fluctuations and will cease to flourish. Countries boasting of capitalistic economies will always face financial crisis in the future, believed Karl Marx. His book The Communist Manifesto was one of 20th century’s greatest realistic economic books to have brought about a political upheaval. Adam Smith is popularly known as ‘The Father of Modern Economics’ who was a pioneer in the field of political economy. Most people would recognize him as the man who is imprinted in 2007’s English 20 Pound Sterling note with a big hairdo! When he was 14 years of age, he got himself a degree from the University of Glasgow and with this qualification went on to propagate theories relating to free trade and market competition. He published a very famous book called The Wealth of Nations where his aim was to throw light over private trade practices, their moralities, free trade and market competition. He was in favor of these practices and one can really know Smith’s opinions by reading this great book. 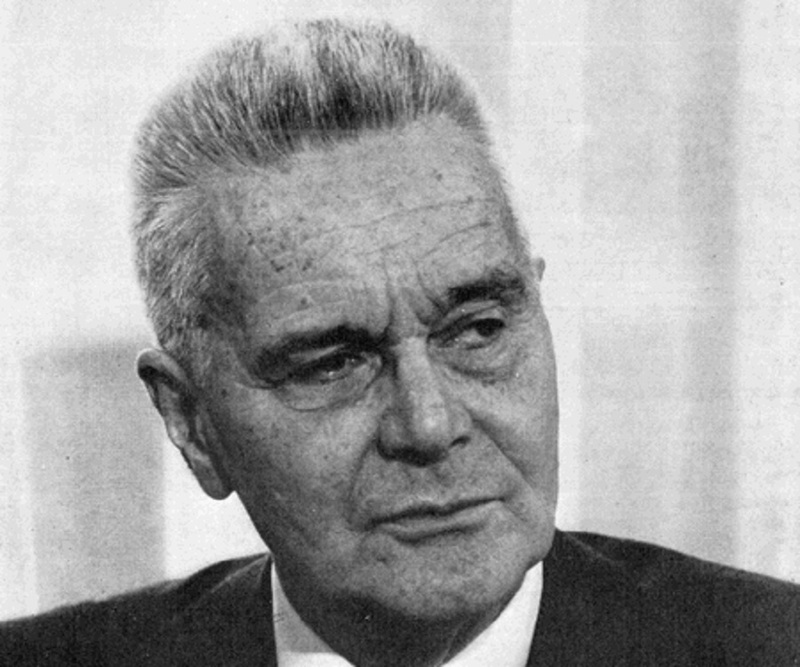 If it wasn’t for Jan Tinbergen, a Dutch economist, the modern world wouldn’t have got benefited by the brilliant method of conducting economic research that has revolutionized our economies all throughout the globe. Yes, this great economist was a Nobel Prize winner and he gave us – the world ‘the concept of econometrics’. This concept or theory of Jan helped in breaking age old theories relating to economics and helped in offering a co-relationship between statistics, mathematics and economy. He shared his Nobel Prize with Ragner Frisch for conducting innovative economic researches and analysis. Another noted personality in this list of economists that have contributed tremendously to the world economies is none other than the Indian Amartya Sen, a renowned economist who has worked to eradicate poverty, starvation and food shortages for the upliftment of the poorer sections of the society. 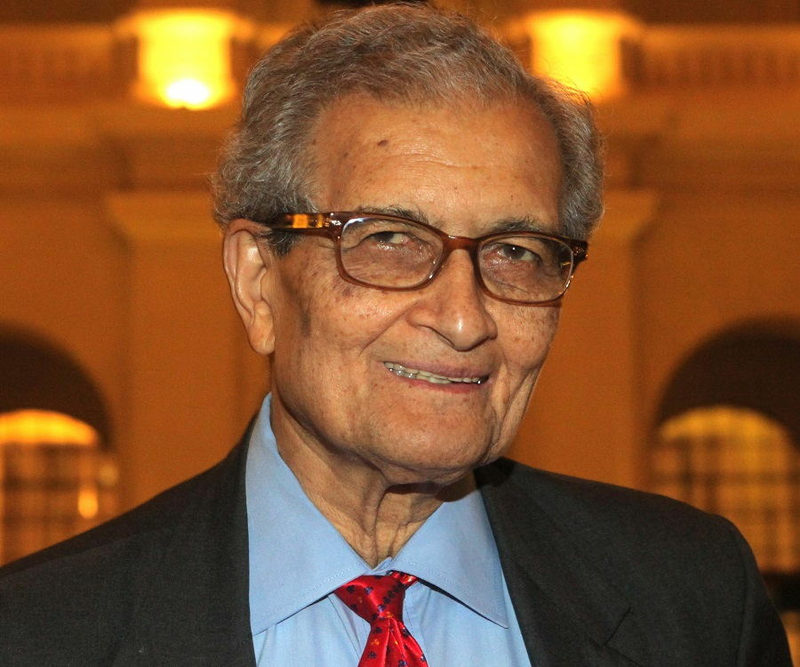 Apart from being a Nobel Prize winner, Amartya Sen is also a prominent writer and philosopher. His books are world famous and have been translated in more than 30 different languages all over the globe. Some famous books include The Idea of Justice, Development as Freedom, Inequality Reexamined and Poverty of Famines:An Essay on Entitlements and Deprivation. Amartya Sen has been listed on Time Magazine’s list of World’s 50 Most Influential People Who Matter. This Bharat Ratna awardee is also the first Asian recipient of the Economic Prize. The awardee of Nobel Prize in 1976, Milton Friedman is a world famous economist who has contributed important works on various policies and theories like monetary history and theory, stabilization policy and consumption analysis. He was a strong propagator of free market concept and received education from Rutgers University and other universities like Columbia and Chicago. 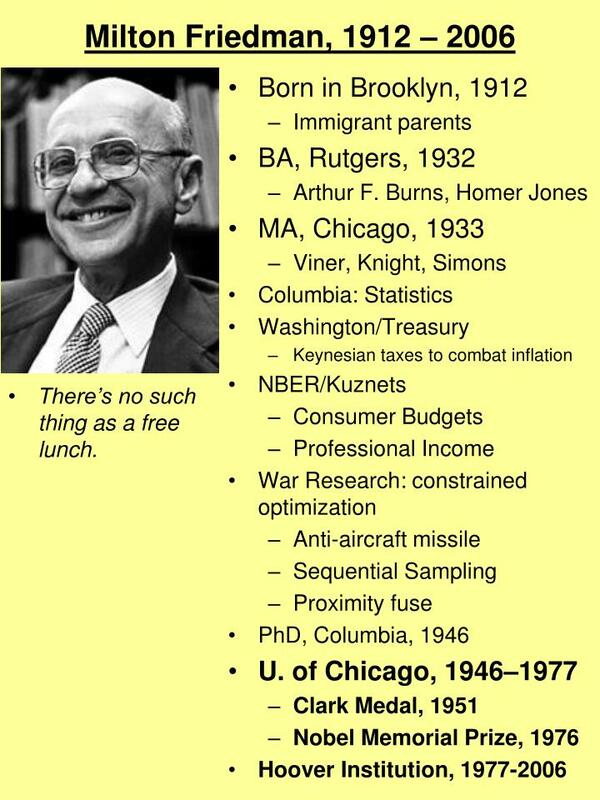 This American economist was also a professor of Statistics at Chicago University. Other notable points in his career include a stint as an economic adviser to U.S President Ronald Reagan. Milton also went on to write articles, columns in magazines and wrote many books and gave lectures on topics such as macroeconomics and economic history. He has been called ‘The Most Influential Economist of the Second Half of 20th Century’ by The Economist and died at 94 before which he wrote a column that was published in the Wall Street Journal.